Did you know that corporations are prohibited from buying back their own shares on the open market during the last half hour of the day? This is a big deal. Imagine that there was a half hour per day when the largest, most aggressive buyers on eBay weren’t allowed to bid on any auctions. But you could, and all those auctions ended after that half an hour. In addition, buybacks are generally a lousy use of capital and represent buys you don’t want to compete with; less than half of all companies buying back shares then go on to outperform index funds over the next three years. So the last half hour of stock market trading takes place without these big, dumb, aggressive buyers. Smart short sellers know this as well. Why would you try to place a huge short any other time of day, when mammoth corporate buyback bids prevent stocks from falling sharply? Given the current size of these bad buys made with ZIRP Fed money and the fact that short sellers have an enormous advantage from 3:30PM-4:00PM Eastern, the last half hour of the day represents opportunity. Much has been made of the plunge in the Smart Money Index this year and for good reason. In the past, major downturns in the index like we are witnessing today have proved to be prelude to major downturns in stock prices. Many have wondered about the underlying dynamics for the decline in the index of late and I think it may be fairly easy to explain. The index simply represents the difference between the first 30 minutes of trading and the last hour. The idea here is that novice traders trade the open and more experienced traders trade the close. The difference reflects the net trading of these ‘smarter’ traders. 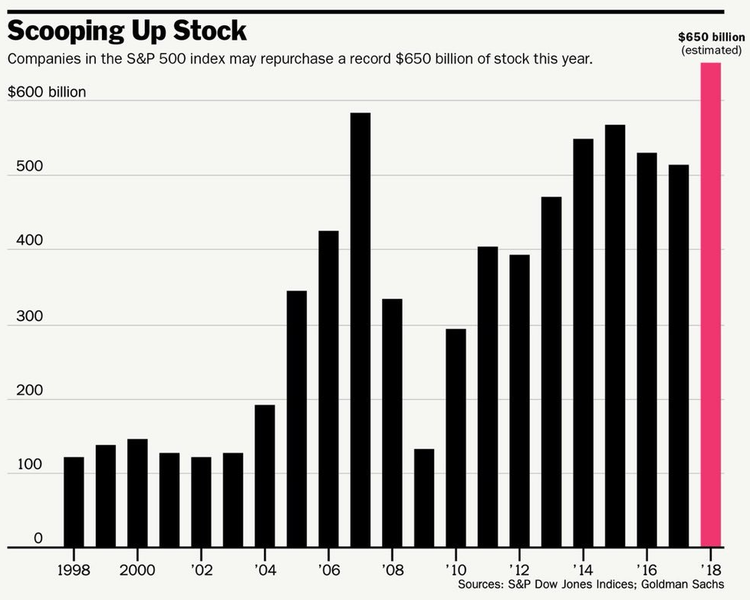 More than ever before stock buybacks dominate overall demand for equities. So far this year, they have surged to a record pace. 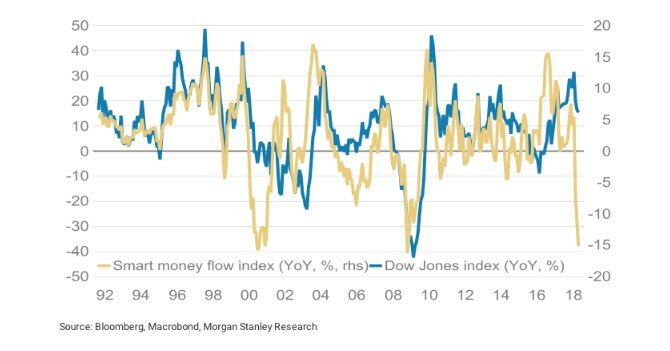 Considering the fact that buybacks are prohibited during the final half hour of trading it could be that the smart money index simply reflects the difference between corporate demand for equities (early in the day) and the natural investor demand for equities (largely reflected at the close).